Video below: supporters in court this week celebrate Rev. 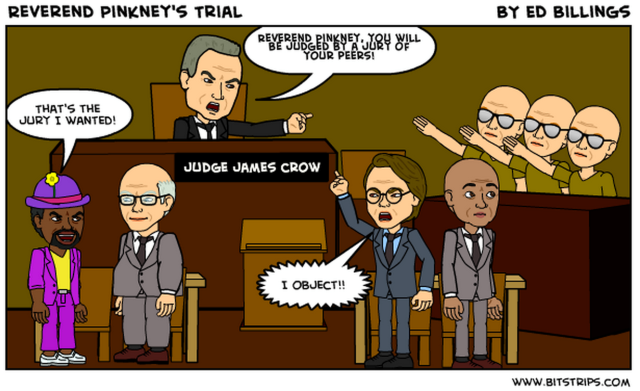 Pinkney’s birthday, which ironically is October 27, the same day his trial began. Rev. 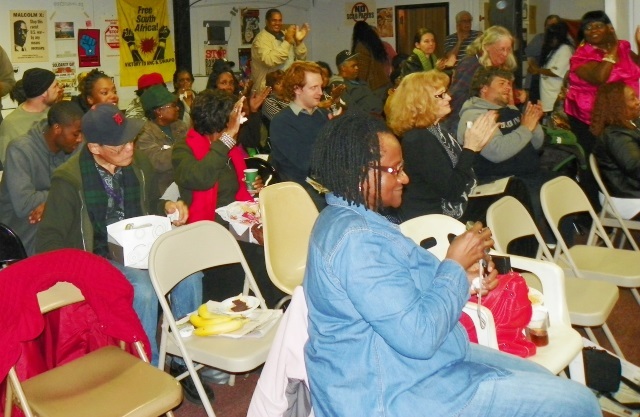 Edward Pinkney speaking in Detroit Oct. 10, 2014 at Moratorium NOW! HQ. ST. JOSEPH, MI – According to published reports, supporters of Rev. Edward Pinkney descended on Benton Harbor from all over in droves as his trial on five felony counts of election fraud, each carrying up to five years in prison, and six misdemeanors, began Oct. 27. The trial is taking place in the Berrien County Courthouse, located in St. Joseph, across the river from Benton Harbor. Ironically, Oct. 27 is Rev. Pinkney’s birthday. A busload of metro Detroiters, organized by Pinkney supporter Marcina Cole, Michigan Welfare Rights, Moratorium NOW! and others left from Northland Mall that morning at 5:30 a.m., after raising $600 for half the cost of the bus. 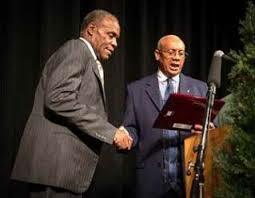 Danny Glover with Rev. 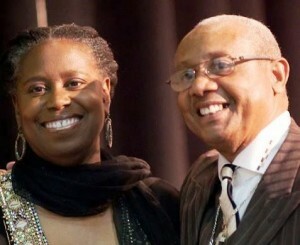 Edward Pinkney during Benton Harbor awards ceremony last year. Pinkney, a leader of the Black Autonomy Network of Community Organizations (BANCO), led a recall campaign against current Benton Harbor Mayor James Hightower, who has the support of the Whirlpool Corporation. Charges are based on those recall petitions. Whirlpool is headquartered in Benton Harbor but earlier stripped the 96 percent Black city of its economic base by moving its plants out of state, leading to a poverty rate. It is also taking over acres of desirable lakefront Benton Harbor property. Pinkney has fought this corporate attack for many years, as well as fighting rampant murders by local police forces of Black Benton Harbor residents, and massively disproportionate incarceraton rates of Blacks. He said that during questioning of prospective jurors, Berrien County Prosecutor Michael Sepic asked several jurors if they would be willing to convict without evidence. The prosecution has conceded that their case has no direct evidence, only circumstantial evidence. Mark Goff says there is no way to tell who may have altered petitions, during preliminary exam. 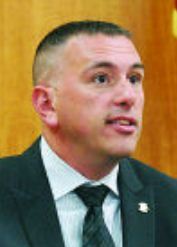 “Dates on recall petitions circulated by Edward Pinkney were altered, though there is no way to know who was responsible, a state police forensic document examiner testified Tuesday. Detective Sgt. Mark Goff told a Berrien County Trial Court jury that some of the dates next to signatures on five petitions were written with more than one ink. The following day, according to the Herald Palladium, 24 witnesses who signed the recall petitions in question testified. On cross exam by Pinkney’s attorney Tat Parish, many appeared to be confused about which petition they had signed and when. 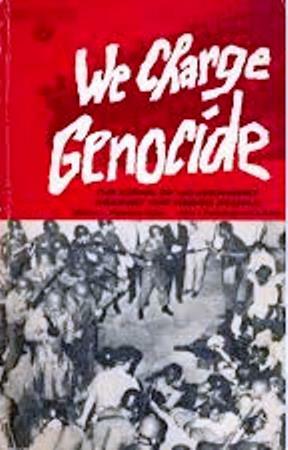 The police and courts have essentially conducted a reign of terror to frighten the people of Benton Harbor, exemplified by the SWAT raid on Pinkney’s home. The defense was expected to begin its presentation today, with Rev. Pinkney himself taking the stand. The previous Monday, Oct. 20, Rev. Pinkney himself spoke to a packed crowd of supporters at the Moratorium NOW! 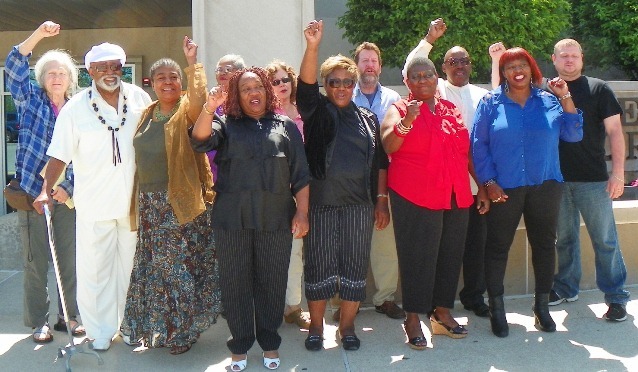 headquarters in Detroit, following up on an earlier Detroit appearance at UAW Local 22. Marcina Cole, a DTE retiree, introduced Pinkney, putting his struggle in context with the current battle for justice by Blacks across Michigan and the country. To a standing ovation, Rev. Pinkney took the podium. Audience at Detroit rally gives standing ovation to Rev. Pinkney Oct. 20, 2014. He said the Berrien County Courthouse has been “physically removing and destroying Black families in Benton Harbor.” He recounted the case of one man who became “cop of the year” after he planted drugs on over 300 Benton Harbor residents. He said the defense had numerous witnesses, but they were not allowed to testify. Apparently Judge Sterling Shrock felt an all-white jury was sufficient, even in the increasingly hostile and racist atmosphere that permeates not only Berrien County, but in Detroit, where the banks and corporations are taking over the city from its majority Black population through a phony bankrupty, and in the entire state and country. Rev. 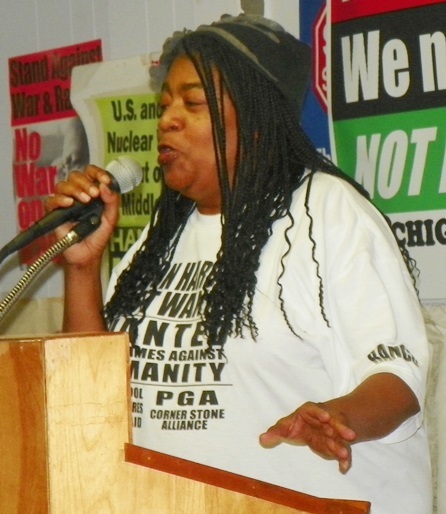 Pinkney leads rally against Emergency Manager law in Michigan. Benton Harbor was the first city to be hit with PA 436. Rev. 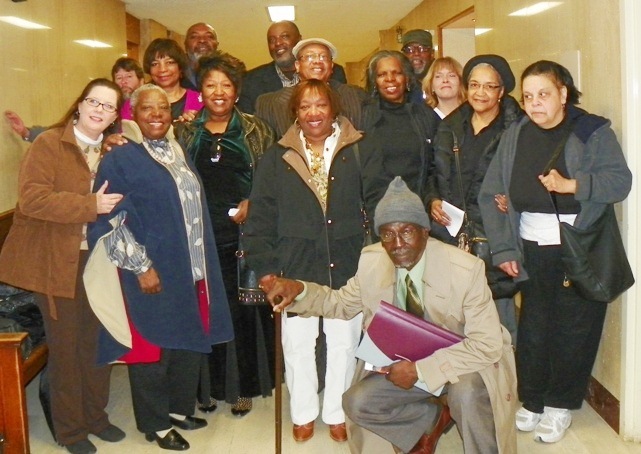 Pinkney (center second from top) with wife Dorothy in front of him, and Detroit supporters including the late renowned General Baker (rear row right) during 2011 trial regarding the Whirlpool-led move to remove him as BH NAACP President. One Response to FREE REV. PINKNEY! 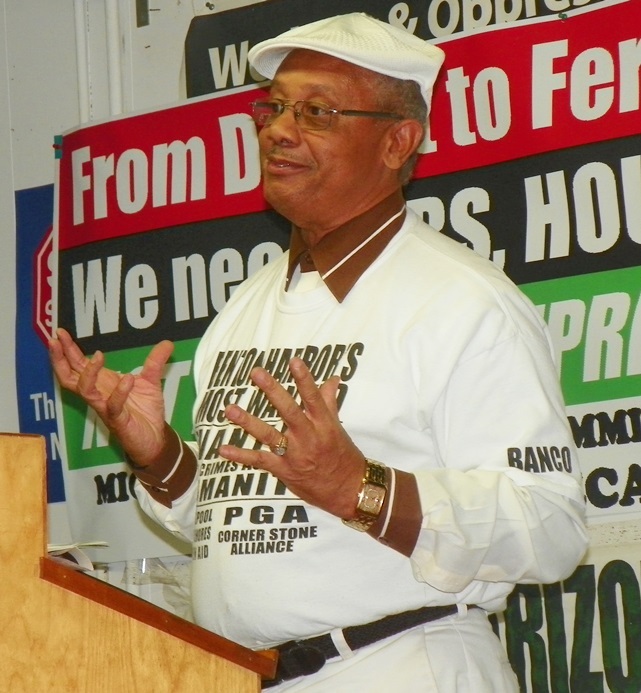 BENTON HARBOR FRAME-UP TRIAL TARGETS NATIONALLY-KNOWN FREEDOM FIGHTER! This “trial” is an Illegal Farce.